Fathima is an Instrument Scientist at the Bernal Institute. She received her Graduate Certificate in Chemistry at the Institute of Chemistry in Sri-Lanka followed by a PhD (2007) in Surface Science at the University of Cambridge under the direction of Sir Prof David King. Her doctoral thesis included study of the dynamics and kinetics of gas-surface interactions using supersonic molecular beams in ultra-high vacuum. She continued as a research assistant in Cambridge before taking up a post-doctoral position at the former MSSI at UL in 2008. 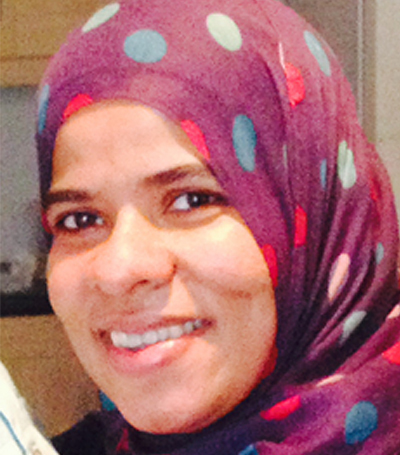 Since then Fathima has served as an Instrument Scientist managing the XPS (X-ray Photoelectron Spectroscopy) facility and has collaborated with national and international researchers contributing to over 70 publications. She is currently responsible for the XPS and Raman spectrometers at Bernal Institute.